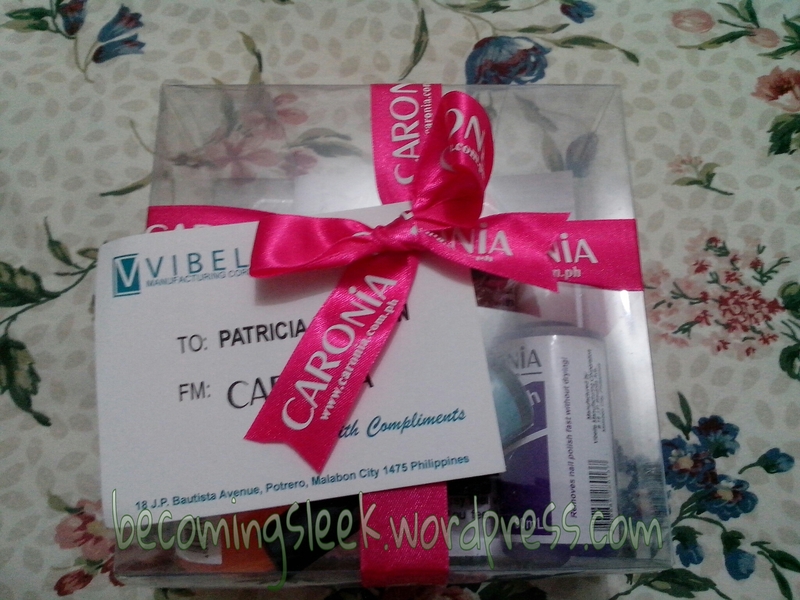 It’s a pretty hefty box from Caronia! It features their new summer appropriate nail lacquer set, and they included some very welcome additions. 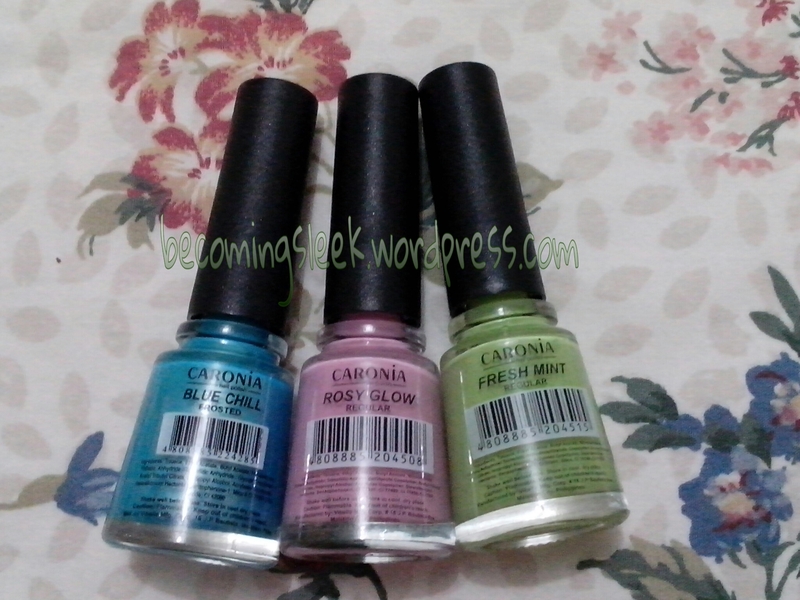 The top row is a set of Caronia nail care products: Cuticle Sanitizer, Cuticle Remover, and Nail Polish Remover. The bottom row is the Expressions set (more on that below). And on the side, a sweet and summery bag charm! For the actual featured product, we have a set of three summer colors: Blue Chill (a frosted bright blue), Rosy Glow (a baby pink regular polish), and Fresh Mint (a cross between mint green and olive green, regular polish). I love all these colors! They are fun, bright, and very summer appropriate. I can’t wait to try them out. Watch out for a swatch post, and possibly an attempt for nail art using these lacquers.